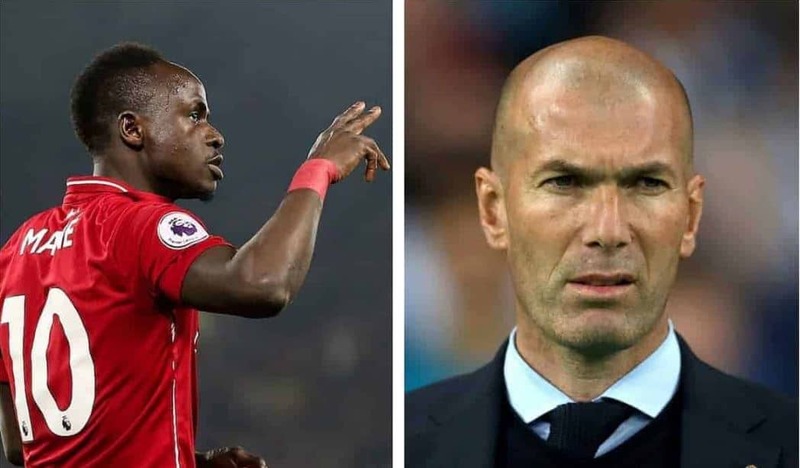 According to European paper talks, Real Madrid head coach Zinedine Zidane wants to complete Sadio Mane’s transfer this summer, as Senegal international is one of the targets for French coach alongside with Eden Hazard from Chelsea and Paul Pogba from Manchester United. Zidane has hinted out several times that he appreciates Sadio Mane for his style of play, which means he might demand Liverpool star’s move. On the other hand, Merseyside club doesn’t want to lose Mane, who has become a key player under Jurgen Klopp in recent years. 27-year-old attacking midfielder has scored 18 Premier League goals this season and is just one goal below his teammate Mohamed Salah and Sergio Aguero in Golden Boot race. According to El Confidential, Liverpool will demand at least £130 m for Mane, which could be too much for Real Madrid. Despite the fact, that Spanish club would try to make money from Toni Kroos, Luka Modric and Gareth Bale transfers, £130 m seems luxurious spending for Florentino Perez, who could spend big for Pogba and Hazard only. Mane scored one of the two goals against Chelsea yesterday which helped Liverpool overtake Manchester City in title race.